Rab LED Vapor-proof fixture in natural color, uses 26-Watt LED lamp with average life of 10000 hours to deliver a light of brightness 2004 Lumens. LED lamp has color rendering index of 68, efficacy of 74 LPW and color temperature of 4900K. It has voltage rating of 120 - 277-Volts, current rating of 0.11 - 0.25-Amp and power rating of 26-Watts. Fixture features die-cast aluminum housing with natural shot blasted aluminum finish, thermal shock-resistant frosted glass globe and high temperature silicone gasket. It measures 6-Inch x 8-1/2-Inch x 11-5/8-Inch. Fixture uses high-quality hydroformed semi-specular aluminum reflector and constant current driver for reliable operation. It supports wall mounting for making installation easy. 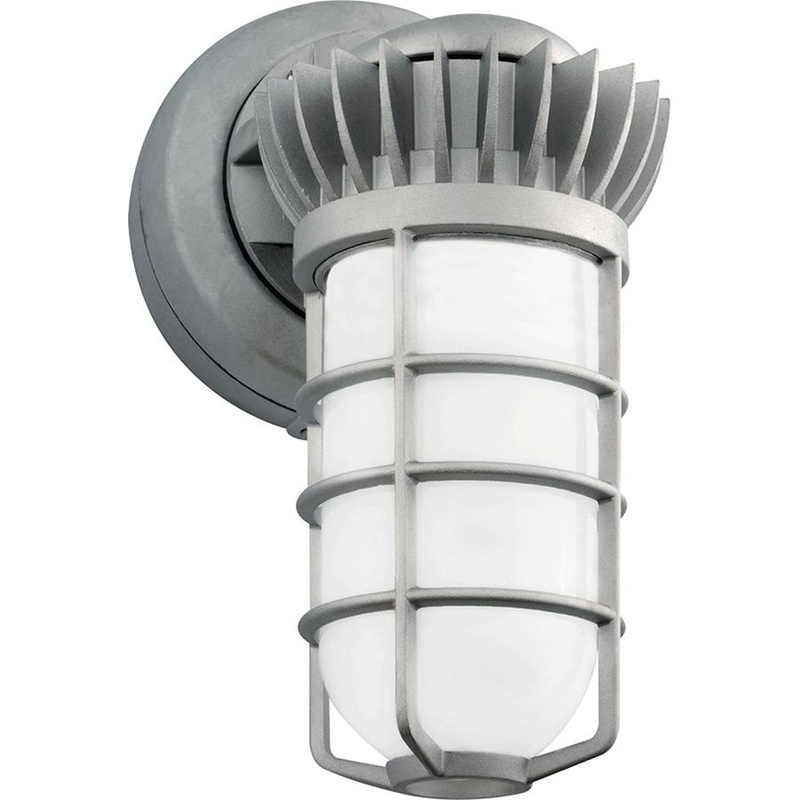 Fixture withstands temperature rating of 40 deg C. Fixture is UL listed.